TRU SCAN is a versatile and simple system to monitor open field activity. Utilizing Coulbourn�s interchangeable sensor rings, TRU SCAN ensures precise tracking in up to three planes. Nose poke task, place preference, conditioned freezing, light/dark tests can also be performed in our TRU SCAN test arenas. Additional accessories, such as shock floors, video mounted TV cameras, hi-brite cue, noise/tone generators and wall mounting brackets are available for use with this system, making TRU SCAN extremely functional and flexible. Versatility and simplicity are the defining benefits of TRU SCAN. With just point-and-click, users generate experimental protocols that are stored and recalled by number. All selected data is gathered, analyzed, and presented in the same way whenever the experimental protocol is run without reselection. 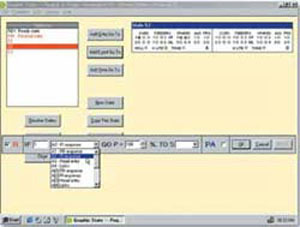 The software also features subject, operator, and protocol IDs as well as automatic data storage and stimulus presentation, if desired. Data analysis is fully automated for each subject or across subjects with results presented in a table or graphically. Results are calculated for all parameters user selected from the �data analysis items�. Graphical data can be cut and pasted directly into publication documents. Data is stored as raw coordinate sets with real time date stamps for each of the sensor rings used. This allows experiments to be re-run without animals to re-analyze data, using more and shorter histogram bins or new data elements to find other behaviors or effects not observed in the original analysis. This unique feature minimizes the number of animals needing to be tested. Raw data may also be easily exported using TRU SCAN�s automatic formatting for export to a spreadsheet for further statistical analysis. TRU SCAN is compatible with Windows Xp or Windows 7 and interfaces through a single USB port. 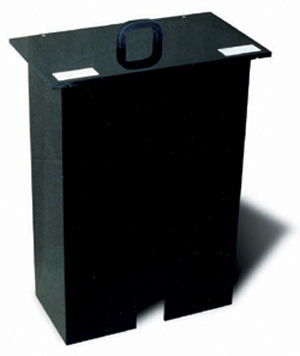 The TRU SCAN system offers two arena sizes � one for mice and one for rats � thus optimizing environmental area and beam spacing to be appropriate for each species, resulting in greater overall system accuracy. 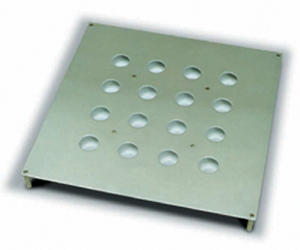 Coulbourn�s TRU SCAN arenas feature a slide-out floor/drop pan for easier maintenance. TRU SCAN Stimulus Accessories are available for increased flexibility of the system. Nose poke task, place preference, conditioned freezing, light/dark tests can also be performed in our TRU SCAN test arenas. Additional accessories, such as shock floors, video mounted TV cameras, hi-brite cue, noise/tone generators and wall mounting brackets are available for use with this system, making TRU SCAN extremely functional and flexible.